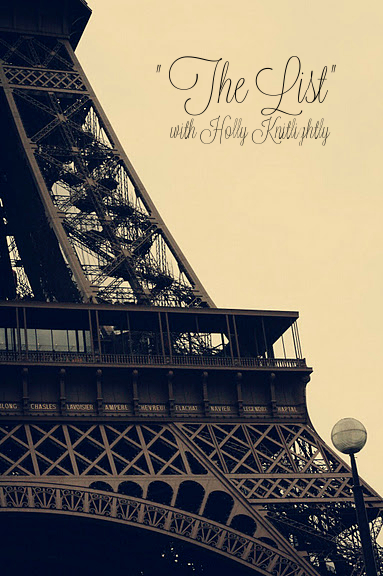 Holly Knitlightly: The List: Part 8! Well, I have thought up a few more items to add to "the list"! Try Vegemite & Marmite. Weird thing to want to do, I know... but I'm so curious! I've never seen the stuff before, but I've wanted to try it for a while! I'm not even sure where to buy them. Maybe I'll have to take a trip to England & Australia/New Zealand! Haha. But, I want to try it. Maybe make a video of me eating it. Watch my entire list of things that I want to watch. (Uh, I will come up with a better way to phrase that, ha!) I have a list on my phone of movies and TV shows that I want to check out. Anytime I'm out and someone suggests something, I add to it. And, the list doesn't seem to ever get shorter. Whenever I'm searching for something to watch I always seem to forget about it. So, hopefully I can get that list down a bit! (I like to watch TV series while I'm knitting or crocheting. I can't just sit there and knit, haha.) One day I'll type it up and write a blog post with the list. Throw 100 dinner parties (themed! Maybe?). This was inspired by The Mighty Life List. I'll add suggestions for themes as I go. Stomp grapes! (I'm sure you guys are all picturing this video...) I'm not sure where to even look to do this, but I hope to one day be able to! It just seems like a lot of fun, haha! Let me know if any of you guys have a list like this! Or if you have any suggestions for things I could try! Or if you know where to pick up vegemite or marmite! Haha. Oooh I'll send you some Vegemite and Marmite! Ahhh Alice that would be awesome!!! I'll have to send you a care package filled with Canadian goods!! Woo woo woo!! You rock Alice!! Thanks so much!! Thanks Larisa! It's fun to come up with new ideas!